Picture windows are large windows that do not have a glazed bar. If it does have glazed bars, these are located near the edge of the window. This way, the window can provide a clear view of the outside. 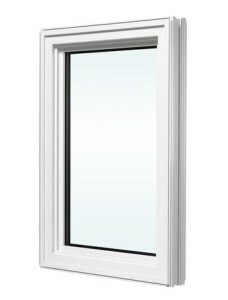 Picture windows are, after all, so called because they provide the homeowners with a clear view of the outside. The view becomes framed by the window like a picture gets framed. The beginnings of all types of windows are the same. People started wanting to have some sort of ventilation in their homes, thus the holes as windows. Later on, they wanted privacy so they started covering up those holes with what they have, such as straw or cloth. Much later on, in the 17th century, people were able to perfect glass manufacturing. So, it was only then that styles such as the picture window became utilized in buildings and homes. Picture windows are great if the homeowner has beautiful scenery outside. The windows can be beautiful frames for the scenery. Looking through the windows may feel like looking at a calming painting, especially if the outside consists of flowers and greens. The window type also allows natural light to flow in easily. There is an airy feeling produced. Picture windows are recommended to outdoorsy people and for people who do not want to feel stifled inside a constricted, limited space. Picture windows are able to create seemingly vast spaces because the inside becomes part of the outside, somehow. Do you know that a picture window is also the best way to enjoy nature’s view without actually having to inhale the possibly allergy-inducing pollen outside? The homeowner could really feel as if he or she has finally communed with nature. Picture windows are also energy efficient because there are no slits wherein the air from the cooling or heating units can escape. The room is fully contained. The windows can further become energy efficient by designing them to bounce off heat if the house is located in warm climates or to absorb heat if the house is located in cold climates. When thinking of buying picture windows, clients should think about the scenery first. Unfortunately, not everyone has a great outside scenery. If the outside of the house is not really worth looking at then maybe the client should look for a different kind of picture altogether. If he or she is living in a dangerous neighborhood, it might be advisable if the type of window in that case would protect the inhabitants from prying eyes and thieves. A picture window should best be used in the living room area because it is the place where the homeowner can really showcase the view. At least, there will immediately be something to talk to visitors about. Top picture window brands that homeowners or office owners can consider are Marvin and Andersen. How much do Picture Windows Cost? The basic cost of Picture windows start at $130 for a glass or vinyl sheet, ready to install. Basic materials needed for a picture window include one solid piece of vinyl or glass to fill the space, framing two by fours, framing wood for trim, wood glue, epoxy, and nails. At the minimum, a fair estimate is $200 without installation and up to $300 installed for replacement window prices. If you would like to upgrade to a larger window, thicker or double-paned glass then the mid-range prices are going to fall between $230-$400 for a do it yourself project and $400-$600 for a professional installation. For the largest windows, with the best materials, premium costs of a picture window can range from $500-$700 for a do it yourself project, and up to $900 to hire a contractor.